Gold Minning, Bleaching agent in textile dyeing and printing, auxiliary of dyeing and anti-oxidant, rubber accelerator, pharmaceutical raw material, photo developing agent, resin compression molding, powder electroplating, blue pringting and boiler washing, macromolecule material industry, castallysis and stabilizerof resinic producing, organic synthesization of sensitizing material, and medicine, medical, spicery materials in fine chemicas, recycling and separating of heavy metals etc. 12, blueprint used in blueprint and clean boiler. Packing: In plastic bag lined plastic woven bag, Net wt 25kg. 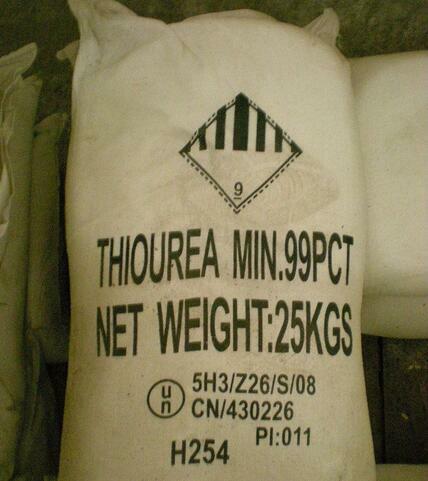 Looking for ideal Gold Mining Usage Thiourea Manufacturer & supplier ? We have a wide selection at great prices to help you get creative. All the Gold Mining Thiourea are quality guaranteed. 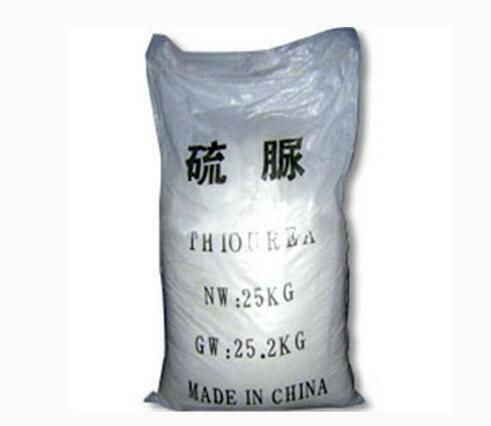 We are China Origin Factory of Gold Mining Usage Chemical Thiourea. If you have any question, please feel free to contact us.